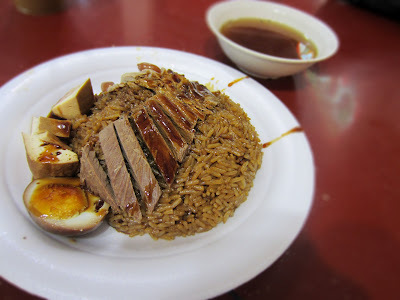 Soy sauce braised duck rice with herbal soup is Teochew (a Chinese dialect group) in origin. Tradition says that the dish was originally braised goose, but since duck was more readily available, the recipe was modified and Teochew braised duck was born. If served with accompaniments like eggs or tofu, everything is usually cooked n the same braising sauce, though sometimes it's served with white rice. It's one of my favorite dishes. 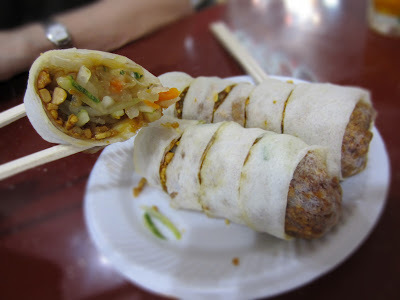 Popiah originates in Fujian and Chaoshan. It's a variant of the spring roll, a soft, thin crepe filled with chopped peanuts, bean sprouts, carrots, tofu, eggs, and Chinese sausage (the ingredients vary somewhat, but these are standard). 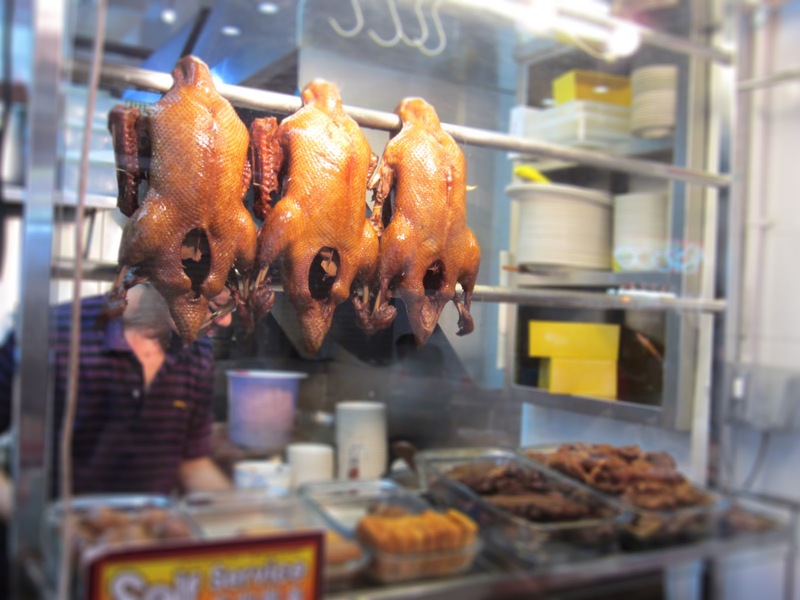 And like the above duck, it also owes much to Teochew cooks. This country takes good food seriously: The first thing a Singaporean will ask you is whether you've eaten. (Mind you, this is a slightly different question than asking whether you are hungry.) I remember a visit years ago where both sides of my family had conferred with each other weeks in advance of my trip to organize most of our meals. As for this trip, they may have to roll me home in a wheelbarrow. Related: More things to eat in Singapore: Ipoh hor fun and fish head curry. Yum. Oooh...I miss duck rice!! Yum...with lots of sauce!